This is a foreign exchange guide to Malta, the Euro currency plus EUR transfers and travel tips. 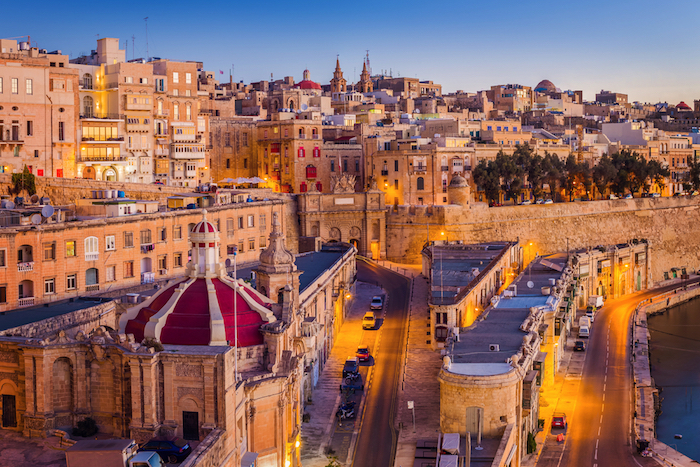 The entire country spans only 196 square miles, making it an easy destination to explore, and, despite being a popular spot for European travelers, Malta still feels like an undiscovered gem.. Malta is packed with historical sites, from the UNESCO-protected ancient temples to the three ancient cities on the harbor. Archeology buffs will enjoy wandering through the Ħal Saflieni Hypogeum, an ancient underground cemetery thought to have been used between 4,000 and 2,500 B.C. 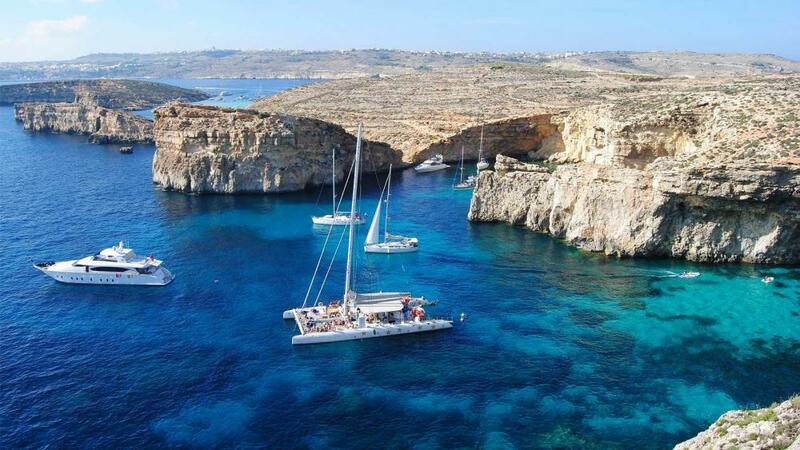 Malta's landscape contrasts rocky stretches of coast that end in dizzying limestone cliffs with sheltered bays that hide gin-clear water and red-gold beaches. The islands' many marinas jostle with boats, and you can take to the water in sky-blue traditional craft, stately yachts or speedboats. Malta and Gozo’s astounding prehistoric sites were constructed by sophisticated-seeming temple builders, who also left miniature figurines and mammoth sculptures of ‘fat ladies’, which have survived millennia and are housed in Malta's fascinating museums. Out in the open, gigantic temples and towers from many different eras stand proud, continuing their endless watch over the sea. The most extraordinary site of all lies underground: Hal Saflieni Hypogeum, a 5000-year-old necropolis carved from the living rock. On 1st January 2008 Malta adopted the euro as its currency. Exchange bureaux at Malta International Airport are open 24 hours a day. International bank cards are accepted and foreign currency is easily exchanged. Banks, Automated Teller Machines (ATMs) and exchange bureaux can be found all over the Islands. The majority of hotels, larger shops and restaurants also accept payment in the main international currencies. How to get around in Malta? Local buses are good, especially in the Northern area and from Sliema you will find direct links to Valletta, Mdina, Malta, St Paul's Bay, Mellieha and Cirkewwa for the Gozo ferry. Some buses will get busy, especially at peak times when locals use them for commuting.The public bus service on Malta and Gozo is a good way to get around as buses serve the major tourist areas, go practically everywhere and are inexpensive and efficient. Valletta Ferry Services operates regular ferries between Valletta's Marsamxett Harbour and Sliema, as well as from near Valletta Waterfront to the Three Cities. There are no train services in Malta. The white taxi service can pick up passengers from anywhere, except bus-stops. Taxi services from the Malta International Airport and the Seaport Terminal to all localities in Malta are based on a fixed tariff. Official Maltese taxis are white (usually Mercedes, with a taxi sign on top; www.maltataxi.net). To combat regular complaints of overcharging, taxi drivers must by law use the meter to determine the fare (except from the airport and sea port, where there are set fares). Renting a car is a good option if you want to get to the farther reaches of the island. All the road signs are in English and driving is on the left. Gozo may be a third of the size of Malta, but you'll be surprised to learn that there’s plenty to see and do on the island. Tourists often make the mistake of thinking that they can see all of Gozo in one day. Get off the beaten path – walk along the Gozo’s rugged coastline, go for a swim at a secluded beach and explore the island’s picturesque hamlets. Despite its lack of green areas, Malta is still a great place for hiking. The island has a range of easy to challenging walking trails running along the coast and cutting through the countryside. When searching around for information on how to get a good exchange rate when sending money to Malta you need to start with finding out the latest Euro foreign-transfer exchange rate. Once your funds are received by the provider the converted EUR amount will be transfered to the recipient account you specify in Malta.